The reason behind Super star Rajinikanth's 2.0 movie postponed? Superstar Rajinikanth starrer 2.0 film audio has been launched long back in Dubai and the fans are waiting for the teaser of the flick. We are aware that 2.0 Teaser launch is planned in Hyderabad in this month. But the latest reports reveal that teaser launch has been postponed due to delay in VFX works. Even promotional activities of this extravaganza sci-fi drama have been postponed for a while now. Shankar directorial 2.0 film is scheduled for January 2018 but the release date might be further pushed to April next year. 2.0 is touted to be a high budget action drama which also features Amy Jackson and Bollywood actor Akshay Kumar. Write & Share about "The reason behind Super star Rajinikanth's 2.0 movie postponed? 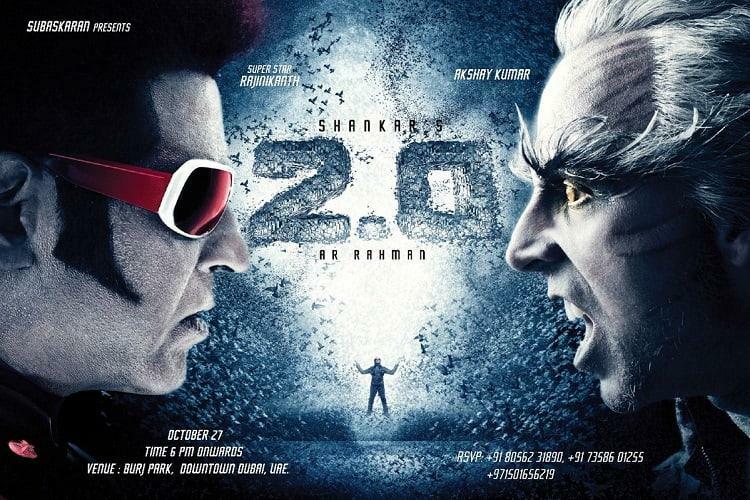 | 2.0 (2 Point O) Tamil Movie News | Cinema Profile" !